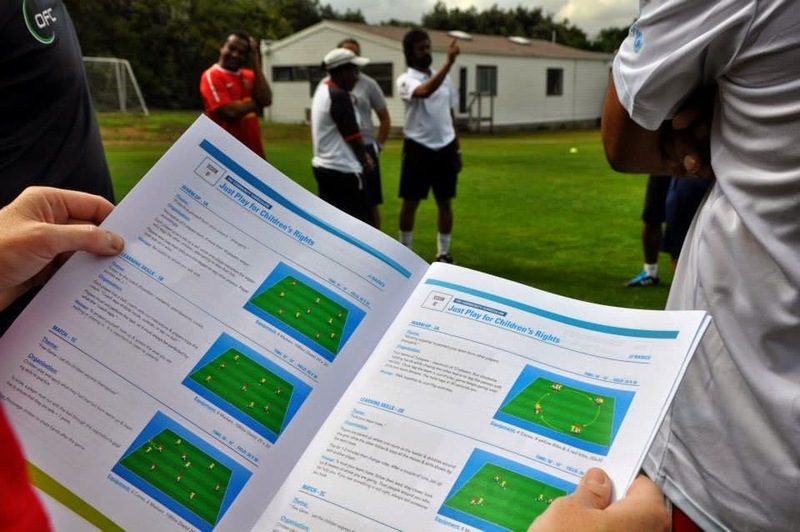 On the coat tail of the Sport and Peace awards, which saw the Oceania Football Confederation Just Play programme recognized as the Sport Federation of the year, Just Play Programme Managers and Instructors gathered in Auckland for the unveiling of the new curriculum. “This new content is much more educational than in the past. The curriculum, with integrated health and social messages, will provide participants with access to information which they normally did not have”, said Rorona Kalsakau, Programme Manager from Vanuatu. faced by young people in the Pacific, Just Play seeks to capitalize on their audience of just over 150,000 children by integrating a broad range of messages into their existing curriculum. These messages will help teachers and community volunteers to ensure that children in the Pacific understand the importance and value of making healthy lifestyle choices. Focusing on four key areas, Just Play will deliver messages on protection, good nutrition, healthy lifestyles, gender equality and the inclusion of children with disabilities. This new move has many of the Programme Managers and Instructors recognizing that Just Play is more about education than football. Imbdad Ali, Programme Manager from Fiji notes that “Just Play is adding that missing component into the system”. While fellow Programme Manager Jean Paul Tanguy from Tahiti highlights how through Just Play teachers and coaches are able to help children grow: “through this programme we are able to plant a seed in each child which will grow and flourish, helping to create a better future for all children of the Pacific”. Established in 2009 in partnership with the Australian government and UEFA, the award winning Just Play programme promotes physical activity for children aged 6-12 through football-related activities, while also addressing endemic issues relevant to the Pacific.